Long before the bow and arrow ice age hunters were hunting Mastodons with weapons like the atlatl and small game with throwing sticks. 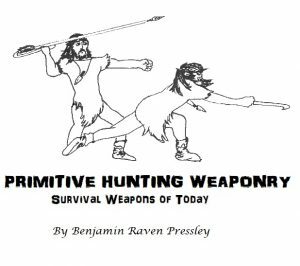 Our ancestors hunted with bola, sling and more. These weapons are still very viable weapons for survival and can be constructed in the field with very few tools. This book goes into detail on how to construct and use all the weapons described. This is one great book for only $1.50!